My, my. I admit I snobbishly scoffed when it first came out (although I do profess to love the original cover), but a recent perusal on an Audible.com sale swung my way with this Abe Lincoln story available and I thought I'd take a chance. I couldn't believe I would finish it quickly and love every second. I never should have bypassed this when it first came out. When an unexpected and mysterious visitor arrives late one night, the fictional version of our real-life author, Seth Grahame-Smith is allowed to review the secret journals of Abraham Lincoln. Told in a combined historical discussion of studious research, along with Abraham Lincoln's personal diaries, the story of Lincoln learning the truth of vampires after his mother is killed is riveting and suspenseful, and just a teensy bit creepy. His vengeful motivation to rid the earth of the scourge of vampires is tempered by the reality of his vampire friend, Henry, who reminds him that Abe should in fact, "not treat them equally" as one is not the same as the next. I was surprised by this adventurous tale. After the recent audio book flop I experienced, this picked up my mood considerably. I loved the connections of the real Lincoln moments in history with the tangled tale of vampire-hunting. Quite frankly, I can't wait to see the film. If you're a hard-core Abraham Lincoln historian, then it goes without saying that you should just enjoy the story and not take it too seriously. It's a well-written and absorbing ride through Abe's life and while I'm no expert, the events that I was acquainted with seemed to ring nicely with the imaginative fiction tale set forth by the author. This was fun, it was occasionally creepy with some good background music in between a chapter or two, and I was surprised I enjoyed it as much as I did. I'm looking forward to Pride and Prejudice and Zombies coming up soon in my audio library. Audio Notes: The narrator, Scott Holst, was absolutely fantastic. I've never listened to his voice before, and while the change between the "author's" voice and Abraham Lincoln's wasn't that different, it worked for me and I had fun with the entire production. I'm interested to listen to more from him. Click here for the Audible.com sample. 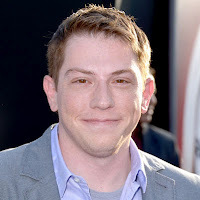 Seth Grahame-Smith is an American author of the best-selling books Pride and Prejudice and Zombies and Abraham Lincoln: Vampire Hunter which has been released into a film. He currently lives in Los Angeles with his wife and son. Man. It's been a while since I've not been able to finish an audio. Just remember that I'm no audio expert, but since I'm cataloguing my reading choices, I really can't ignore this one. I can only tell you that I've hit play on this audio twice and... I just don't think I can plod along with it anymore. The Ten-Cent Plague: The Great Comic-Book Scare and How It Changed America tells the story of how comic books first came about after World War II and before television became mainstream and accessible, and the subsequent hysteria generated by those who felt that comic books were lowering standards and ethics for the youth of the day. This held so much promise. 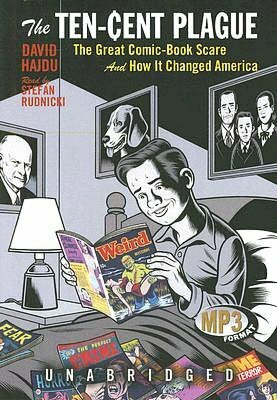 I love comic books, history, and audio. I wanted to fall in love with this. I started it a couple months ago, and stopped it after one hour because I just couldn't get into the story and wasn't the biggest fan of the narrator's voice. The second time I started it, this past week, I went much further along with it to around the six-hour mark, but I decided today I needed to just stop. I found my concentration wavered and I was easily distracted. I might try this one more time...maybe I should try it in the printed version instead? I can say that I am most definitely in the minority on this. The reviewers on Audible.com gave it high marks, so make sure you consider that as well. I'm in no way the final authority. Audio Notes: I know Stefan Rudnicki has a great fan base and he does have a very nice, soothing voice. Although it is a comforting tone, I felt there wasn't much variation in the characters' voices, or in the overall narration. An Audible.com reviewer also pointed out that he unfortunately pronounces "submariner" as though it's "submarine" with an "r" at the end, like sub-ma-reen-er, but the correct pronunciation is sub-mare-uh-ner. It sort of drove me nuts as well. Click here for the sample at Audible.com. David Hajdu is the music critic for The New Republic and a professor at the Columbia University Graduate School of Journalism. 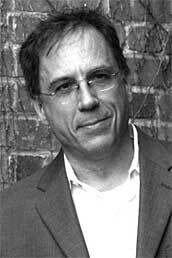 He is the author of three narrative non-fiction books and one collection of essays. No books today. This will be a sports post from a very sad hockey fan. The AHL. American Hockey League. It's just one step away from the NHL and each NHL team has an AHL affiliation. In Norfolk, Virginia, we have an AHL team, the Norfolk Admirals, and they are affiliated with the Tampa Bay Lightning. This season was an unprecedented record-breaking season and the Norfolk Admirals won 28 games in a row, setting a professional hockey record. That means even the NHL teams have never accomplished that. 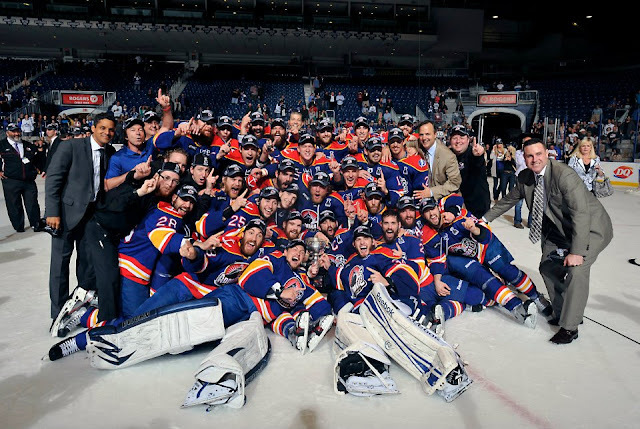 Then the Norfolk Admirals won the Calder Cup, sweeping Toronto in 4 games to bring the AHL's version of the Stanley Cup back home to Norfolk. The parade was this past Wednesday and the fans were there. We watched the reveal of the Championship banner and got to meet the guys who will one day move up to the NHL. And then this week, the Tampa Bay Lightning announced they are transferring their affiliation with our AHL Norfolk Admirals, the record-breaking team, to Syracuse next season. Yes, I know these same guys would eventually be traded to other teams or eventually land a spot with the big boys in the NHL. But what breaks my heart the most is that many of the very same guys who brought that championship cup to Norfolk will not be playing under their well-earned banners next season. To the players, my husband and I thank you for an incredible season. Best of luck in all of your future endeavors, and we will eagerly keep track of your rise into the NHL. Who doesn't want a little British spy intelligence and James Bond action to kick off the summer? Two agents from the British MI5 disappear in Jamaica, and it's up to James Bond to get to the island and figure it out. When his sleuthing uncovers a trail leading right to the elusive and mysterious Dr. No, Bond realizes he might be in a little over his head. I so wanted to fall down and love this story. I really did. Even after a few days since its conclusion, I'm sort up in the air on this one and would love to get your thoughts. This was my very first time reading/listening to a James Bond story, and I think I would have enjoyed and appreciated this more had I experienced the other stories in the series first. I think it suffices as a standalone, as I wasn't terribly confused by anything, but I think part of the enjoyment of the James Bond franchise is experiencing the evolution of him as an agent to an even more experienced one. After all, in Dr. No, the book starts off with a tad bit of embarrassment for him because he didn't quite execute the previous case successfully, and M, his handler, is annoyed with Bond. That was actually quite intriguing and I enjoyed that the most overall. 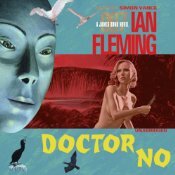 When Bond flew to Jamaica to investigate the disappearance of fellow agents, the case leads directly to Dr. No and a section of Jamaica called Crab Key. James Bond's reconnaissance on Crab Key results in meeting Honeychile, an orphaned island woman whose beauty and island intelligence makes her much tougher than Bond expects. I didn't mind this interaction and found it interesting, but again, it wasn't something that made me a James Bond fan. Overall, while I was disappointed as my expectations were extremely high. I will not shy away from this series, though, and will be trying another James Bond novel again, and will definitely listen to the audio version as Simon Vance completely rocked it. Audio Notes: For all the overall pieces of the story I didn't like... had it not been for the vocal stylings of Simon Vance, I would have stopped the story and moved on to another one. Simon Vance was impeccably engaging and his voice silkily mastered the James Bond narration. He did a fantastic job with Honeychile and Dr. No as well, and I was riveted by his voice alone. Click here for a sample on Audible.com (click the play button below the cover). 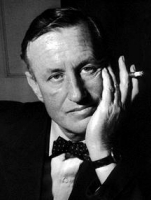 Author of one of the best-selling fiction thriller series of all time, Ian Fleming was an English journalist and author, and also was a British Intelligence officer! The man was *the* man. I think I might like his biography much more. This was another selection for Teresa's 2012 Audio Book Challenge.